It’s a well-known fact that mold often inhabitants warm and moist areas, with poor air circulation. This makes kitchens, bathrooms, laundry rooms and basements an excellent place for mold to appear. In this way, the humidity is always high, and airflow is usually limited. Therefore, it’s common to find mildew in these rooms, on the walls, ceiling, and between tiles. However, tile grout is most affected by the mold, which makes it tough to clean and remove. Considering that grout has a porous nature, it is particularly susceptible to mold growth and development. 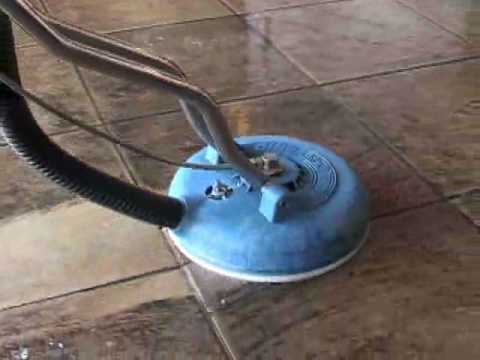 Even if you buy mops for tile floors and grout and clean regularly, no one can guarantee you that mildew won’t appear again. So, here are some tips and trick to fix this problem. As you may know, the prevention is the best cure. When you think about it, why spend so much time on cleaning, when you can prevent it from happening again. You only have to keep mold under control and the way to accomplish that is to keep tiles dry. In this case, you will never have to think about these harmful microorganisms. You must be wondering, how can you keep room dry that is designed to be wet, such as a bathroom. You can’t, but there is a difference between getting wet and staying wet all the time. In this case, you can keep door and windows open as long as possible, run the exhaust fan at least half an hour after showering and wipe everything clean with a dry cloth. This action requires a lot of patience and a lot of work. You aren’t only dealing with mildew, but also with spores which can later cause for mold to appear again. This is why you have to disinfect the area thoroughly, to avoid further issues. So, how to get rid of mildew from the lines between tiles. There are several methods which can help you. You can start with bleach. Make mixture 1:4, water to bleach and put it in a spray bottle. Spritz the affected area and wait for 30 minutes, then scrub thoroughly with a brush, to remove all the residue. Rinse it with cold water and repeat the entire process if necessary. You can also apply bleach directly onto the moldy grout and let it sit for 15 minutes. In this case, you don’t need a brush, rinse it with warm water. 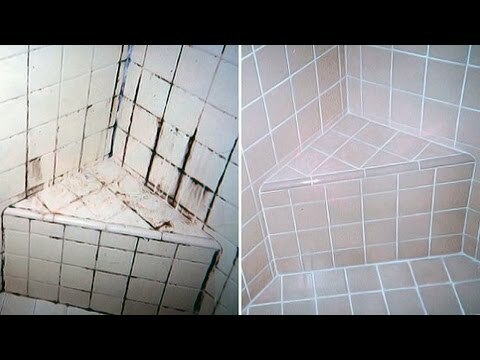 Keep in mind that bleach causes fading and discoloration and it shouldn’t be used on colored tiles or grout. You can damage the tile finish, and this will be impossible to replace. Also, be careful with the application. Bleach is a dangerous product and may irritate your eyes and hands, so it’s recommended to wear rubber gloves and safety glasses. Make sure that you keep the room ventilated through this entire process, so you don’t damage your respiratory tract.